Visitors walked through Harvard’s campus. 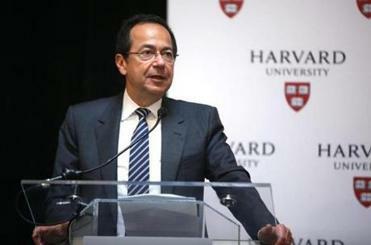 How big was the $400 million gift Harvard University received last week? The donation alone was more money than 98 percent of colleges nationwide have in their endowments. Forget contributions of hundreds of millions of dollars, or even millions. Most colleges are thrilled to receive amounts in the thousands. For example, Bunker Hill Community College president Pam Eddinger said her school typically sees gifts top out at about $40,000. “Four hundred million dollars, to me, is hard to imagine,” said Eddinger. The gift, from hedge fund manager John Paulson, shines an unflattering spotlight on the wealth gap in higher education and the ways in which it is perpetuated. The massive contribution, given to Harvard’s engineering and applied sciences school by hedge fund billionaire John A. Paulson last week, has renewed criticism that such generous sums of money could be put toward better causes than further endowing the world’s richest university. The gift has also served as a telling reminder of how far-reaching inequality has become, critics point out. A recent study found that the richest 1 percent of people in the world will control more than half of the planet’s wealth by 2016. In American higher education, that milestone has already been surpassed. The combined value of the top 1 percent of college and university endowments represents nearly two thirds of all endowment dollars nationwide, according to an analysis of the most recent figures reported to the US Department of Education by 7,764 schools nationwide. Narrow the field even smaller — to just the 10 richest colleges — and the share of endowment dollars makes up one third of all such funding. Whittle still further, to just the richest university, Harvard, where the school’s $36.4 billion endowment makes up 6.6 percent of all endowment funding for universities and colleges in the US. Harvard for the past couple of years has been growing its endowment through capital campaign fund raising. The $400 million gift was the single largest donation in the school’s 379-year history. But that may sound familiar, given that the Ivy League school opened the academic year announcing it had received its then-largest-ever gift of $350 million for its school of public health, from billionaire businessman Gerald Chan. 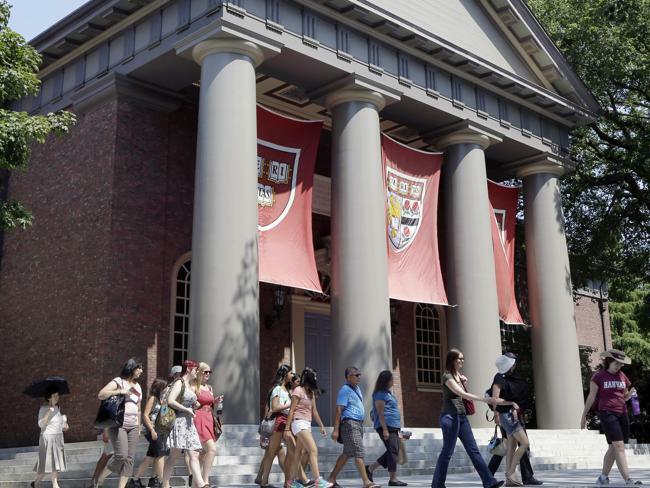 But, while some struggle to fathom why anyone would give even more money to super-wealthy institutions like Harvard, officials within the local world of higher education expressed less surprise. “When you take a look at the decline in investment from the federal government, and no prospect of that improving anytime soon, you can understand why someone would want to make that kind of a gift toward groundbreaking research,” said Richard Doherty, president of the Association of Independent Colleges and Universities in Massachusetts. In recent years, particularly as public higher education funding has stagnated, if not declined, in many areas of the country, most colleges have seen an increase in private donations, including in record-setting gifts. Top officials at less-affluent area colleges said they had no gripes against Harvard, its generous benefactors, or the latest gift the university received. Those who support continuing to donate to Harvard have said that as a giant, internationally renowned research university, Harvard is not only an expensive operation to run, but it is also well-equipped to use gifts it receives effectively because the school already has an immense collection of money, brain power, and other resources at its disposal. The school has earned a strong reputation of reinvesting donations to fund research that has led to major breakthroughs. In just the past two years, Harvard researchers have been involved in important new discoveries, from unlocking information about the first moments of the universe to unveiling new methods for trying to treat diabetes. And, Harvard is already among the most generous to its students — it gave out roughly $500 million in financial aid university-wide in fiscal 2013 — and is a major employer and economic contributor, particularly in the Boston area. Colleges also are often limited in how they can spend money in their endowments. For example, about 70 percent of the Harvard’s endowment can only be spent in ways specified by the people who made the original donation. Supporters also contend that endowments are not intended to be spent immediately, but are designed to ensure the institution and its work endure for generations. Universities “have a different mission and look to the future in a very different way,” Eddinger said.